Mahou Shoujo, literally means Magical Girl, is just one of the subgenres of the anime fantasy that is well-known in the classical era of the Japanese animation. 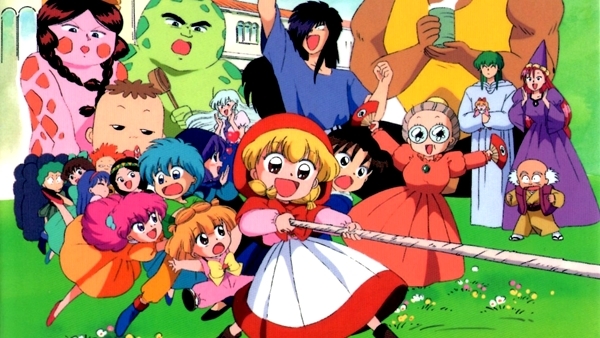 If you happen to be a 90’s warrior as I am or you were born in the late 80s, early 90s or middle 90s, then you must have encountered tons of great anime shows on TV. Despite the lack of technological creation, you undeniably enjoyed the antiques of the anime industry. You were exposed to the culture where sci-fi and VHS generation were much prevalent. It was great. 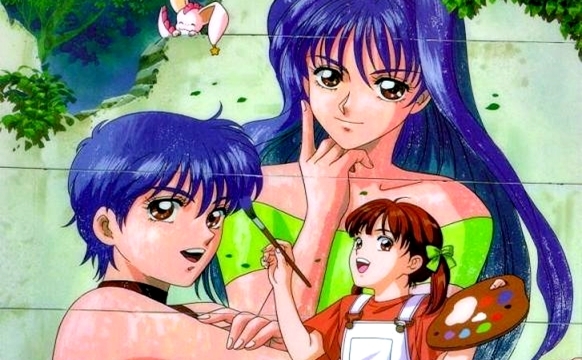 To the most part of it, you often encountered magical girls around and talked about something that simply amazed you when you were in grade school, the colorful and glittery transformation of young girls to save the humanity. 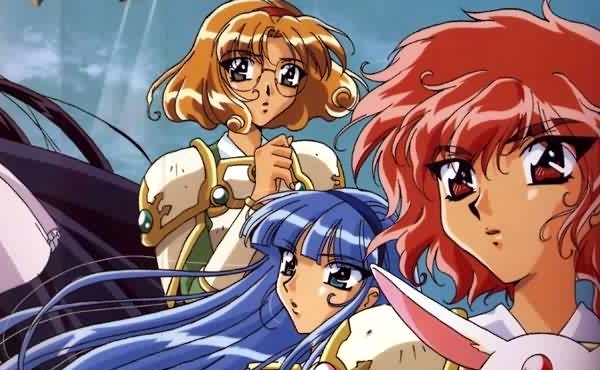 Surely, every 90 kids couldn’t fail to remember one of CLAMP’s iconic titles, Magic Knight Rayearth, with the adventurous journey of young girls as they are drawn into a fantastical world and are bestowed with supernatural abilities in a way to defeat hostile forces. Despite the typical linear plot for a mahou shoujo series, what is rather fascinating for a young audience is the overall appeal of the female leads from their eye-candy artwork to their unique prowess as magical knights, including their fabulous weaponry and swordsmanship amidst of the adventurous world. Beyond that, action scenes shouldn’t be skipped as they are simply made with intensity and great excitement. “Let Love, Courage and Hope — Magical Princess Holy Up!”. With the aid of Riiya and Shiine, we can’t easily forget the nostalgic transformation scene of Chacha from being a clumsy little girl to a god-like dazzling warrior to save the humanity. The wizardry world of the series is quite the entertainment as it makes us delighted of Chacha’s relationship with her handsome mentor named Seravy and at the same time, face-palmed of her disastrous spell casting. Regardless, her character development is something to watch out for. The mahou shoujo genre of the show complements smoothly with comedy and adventure. Let this little girl with red riding hood bring us a heavy dose of nostalgic feeling. 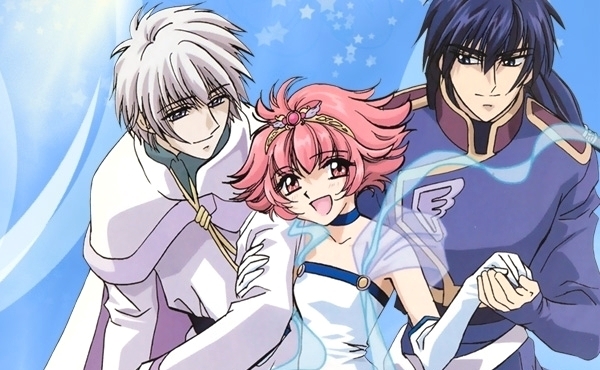 Of course, who doesn’t know the most influential shoujo in the anime universe? 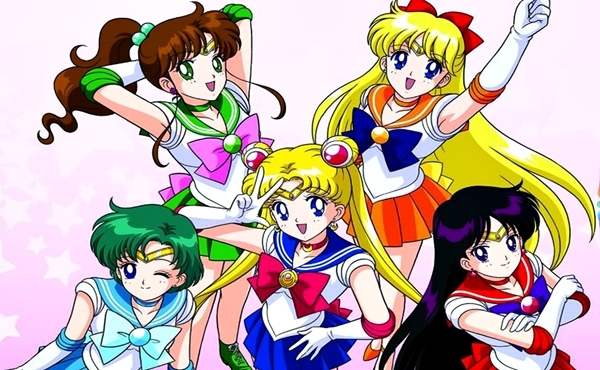 “In the name of the moon, I will punish you” was one of the most overused lines that 90’s little girls always uttered during the series’ peak year on local TV network. From being a kawaii girl and all-for-nothing in school’s exam, her metamorphosis was something that captivated the audience- her elegance and alluring beauty as the guardian of the moon. Aside from the cuteness and glamour that the show could simply offer as a shoujo anime, Sailor Moon promotes the essence of feminism that empowers women to achieve dignity and self-respect in the society. 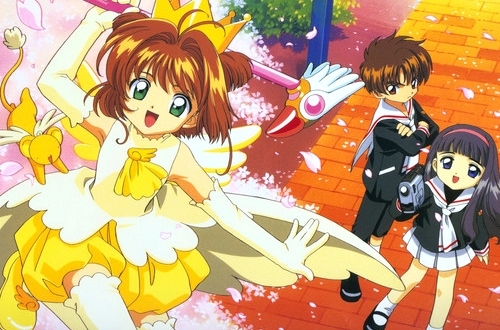 Based on CLAMP’s popular manga, Cardcaptor Sakura is another iconic title for 90’s kids out there. The extremely energetic and happy-go-lucky girl Sakura Kinomoto has never failed to show her cuteness as transforming into a glamorous magical girl with a bunch of outfits. The show perfectly depicts the adventurous life of a young girl in the fictional world of Tokyo, battling clow card’s magical personification to seal them away and finding true love while she overcomes various obstacles as the entitled Cardcaptor. The series also portrays the beauty of friendship and family. Definitely, CCS is a perfect source of nostalgia that is highly recommended for younger millennials. 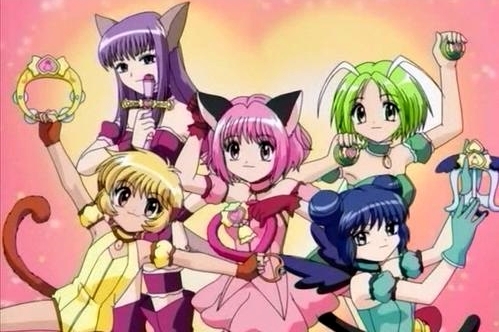 The human who can transform into a human cat in just a blink of an eye is surely an adorable thing, and Tokyo Mew Mew oozes up with the cuteness of cat girls. Ichigo Momomiya, the main lead of the show, is just like Usagi from Sailor Moon, or any typical sequence of a mahou shoujo, where the heroine is granted with supernatural abilities to defend the earth. The transformation scene is quite the entertainment for young girls as it is filled with a vibrant scheme. Together with other adorable girls battling deadly creatures, it’s more refreshing to think that despite how we have grown up, we still want to see the nostalgic sequence of their transformation. Full Moon o Sagashite touches the heart of young girls through its sentiments, the taste of sweetness and bitterness towards achieving one’s dream. The highlight of the show focuses more on the comedy-drama aspect, but the vibrant metamorphosis of the female lead to become a grown-up beautiful woman with passion and confidence is absolutely fascinating. With a unique scope as a mahou shoujo label, this is an interesting anime that makes you laugh and cry. Let’s include Lucia Nanami as one of the most unforgettable shoujo faces in the magical world of anime. The show itself has a different concept of mahou shoujo as this is made with a heavy fictional feel. Singing mermaid to defeat enemies is kind of cheesy in this modern anime creation, however, the existence of mermaids was surely fascinating during our grade school days because we also used to idolize Disney’s Little Mermaid at the same time as a young girl. The bright and colorful world of the show is rather engaging despite the mediocrity of magical girl transformation you would always see around the corner. This is a mahou shoujo anime that literally targets little girls from its colorful artwork to its cute character design. Rather than fighting dark forces of evils as a typical formula of mahou shoujo, the anime solely focuses on the tight bonding of young girls. 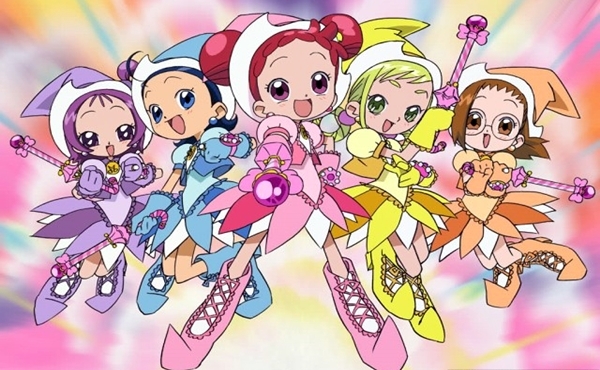 If you happen to share the same generation as I am, then watching DoReMi was something you couldn’t skip watching during your grade school. The artwork is simply loaded with cutesy things that are really pleasant for the eyes of young girls. 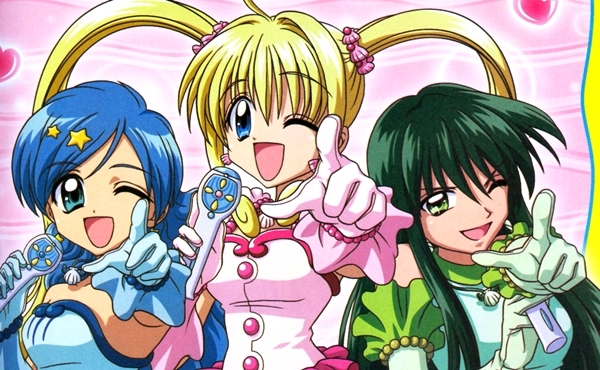 Despite the old and dark animation, Fancy Lala is surprisingly one of the most entertaining mahou shoujo shows in the late 90s. The 9-year-old female lead, Miho Shinohara, is what makes the anime dynamic and fun to watch as she transforms herself into a 15-year-old girl and is eventually scouted by a talent agency. The music genre blends perfectly with the magical world of the female lead. The genuineness of the storyline which particularly aims to develop teenagers’ psychosocial crisis makes the whole thing more valuable for their developmental stage. It was refreshing to watch it as an audience in the 90’s era. A girl who is bestowed with supernatural power and destined to protect the world is an overworked narrative you oftentimes pay no attention despite the settled decent plot, but Pretear isn’t just all about the cliche of a mahou shoujo anime. 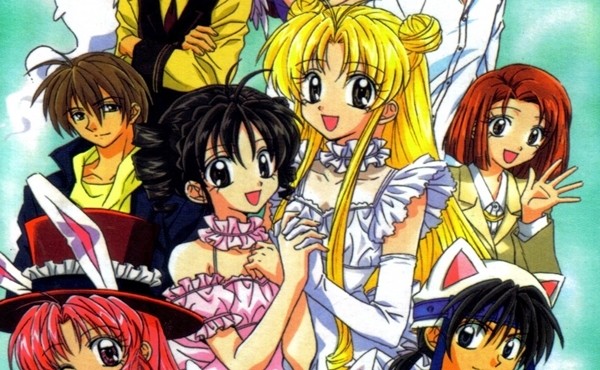 It doesn’t possess the typical cutesy concept as Sailor Moon and Cardcaptor Sakura. Blended with a good element of romance and comedy, the show highlights the interaction and relationship of heroine with other supporting leads which is an integral part for her character development. The story doesn’t only appeal to young girls as it is not merely a girl-oriented show. It appeals to both gender, to the young ones, teens and young adults. Do these anime titles offer you an ultimate nostalgic feeling? What are your thoughts on these mahou shoujo anime? Do you have something to add to the list? Let me know your thoughts.